This Chinese New Year, usher in the festive season with unique home products from fish pillows, to gummy bear nightlights and world maps. If you are keen to add colours to your home without the fuss of changing it after the Chinese New Year season, here are some of our selections that will add lovely touches to your home. What's Chinese New Year without fish? In chinese, "fish" means surplus, symbolizing a wish for abundance in the coming year. These Salmon Pillows are bound to Brighten up your home and may even bring wealth and prosperity to you and your family! Love cupcakes but cannot bear to eat them? These cute cupcake pillows add a great decor to your sofas and chairs! The best part is these lovelies are on sale now, so grab them before they are gone! Kids and even adults will definitely love this adorable squishy gummy! It is great as a funky, quirky decor and it works as a nightlight too! Great for your children's room. Well, who doesn't love gummy bears? Been to many countries but cannot remember? Here's a solution! The Original Scratch Map from Luckies from London! This is a classic piece to place in your living room. Simply frame it up for a more classy feel. 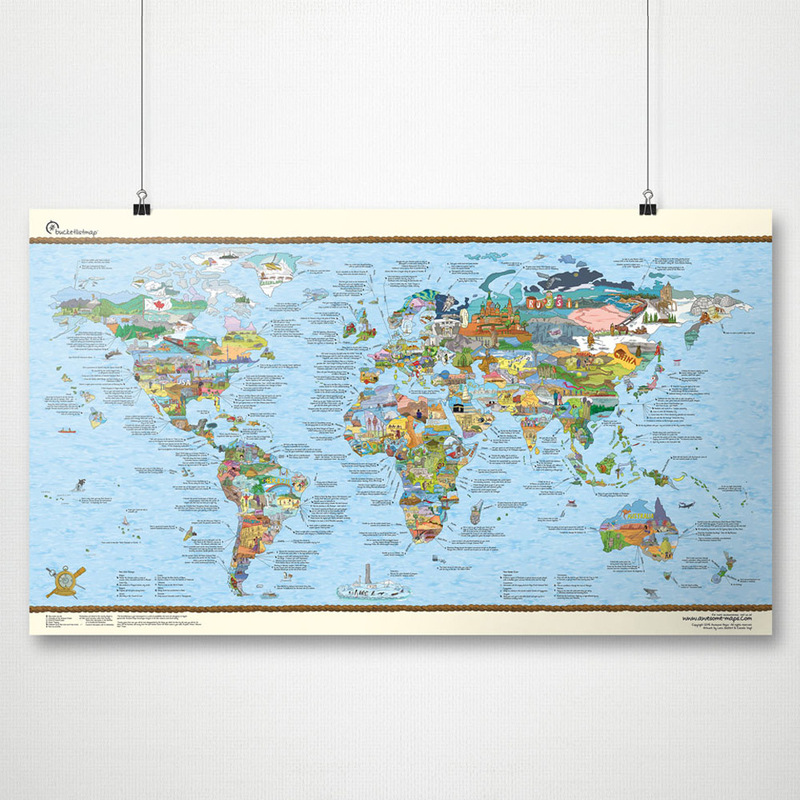 Here's another wall map decor. From big-name spots to little-known gems, allow your guest to discover the world as you haven't seen it before! Purchase your favourite home decor product with us now and get them delivered to you by Chinese New Year. We are sure these products will not disappoint!